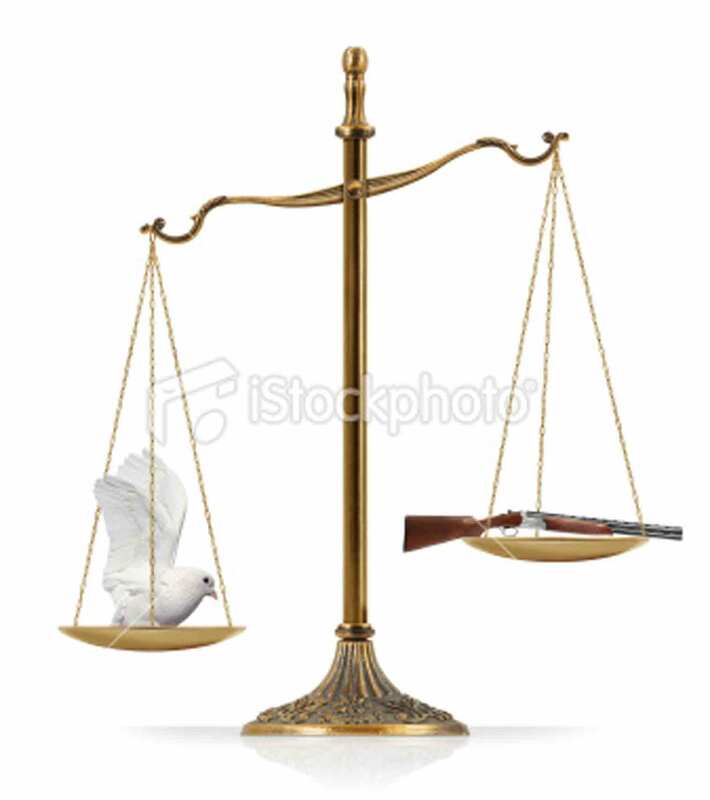 Peace and disarmament concept: There is a white dove at the one side of “Scales of Justice” while there is a shotgun on the other side. White dove seems heavier than shotgun. Isolated on white background.